Okay, it’s easy to find long lists of things you should do when buying a house. Everyone knows the rules…check your credit, be realistic, save your money, etc. But what about those things that will end up trashing your deal or making you pay more money for your dream house. Here’s a list of some things you should avoid. “I’ll save money if I call the guy on the sign!” No you won’t. Actually, you could end up paying more. The agent who has the right to put his name on the sign has already signed a contract with the sellers to list their house. That contract includes a fixed commission rate, and just as important, a promise to represent the best interests of the sellers. Many people think that they will save money by using the agent on the sign because it will reduce the commission by half. Actually, this idea gets most listing agents to salivate uncontrollably. What actually happens is that they will earn twice the commission because they will receive both their portion as the listing agent as well as the portion they have agreed to pay to the buyer’s agent. The listing agent has what’s called a “fiduciary ” duty to the seller. This means that they promise to get a deal that serves the seller’s best interest. In most cases, that includes getting the highest possible price with the fewest possible concessions. Really? How is that going to help you as a buyer? You are dealing with someone who is bound by law to get the most money out of you. By dealing directly with the listing agent you don’t get a break on the commission and you work with someone committed to getting more money for someone else. That is not in your best interest. Buy a boat. Another misconception is that once you are approved by a lender, your loan and terms are written in stone. Wrong. If you are approved, then go out and buy a new car, an 80 inch tv, or a boat (the list goes on, these are just examples of big ticket purchases) your lender will quickly lose interest in you. You could lose your approval, lose your loan, and lower your credit rating. Bad. Very bad! Even moving to a better job without telling your lender first could cost you that precious approval! Here’s a true story to give you the idea. A fellow agent in my office had a couple who was approved for a loan, had an iron clad contract to purchase a home, and a settlement scheduled to close the deal. The night before settlement, the couple decided to check and make sure they had the best interest rate available. They went online to a service that promised to give them several quotes from different companies within a few minutes. After feeding in their information, they received their quotes. What they didn’t know was that the online company had given their information to 32 different lenders in order to come up with the top four rates. That meant that on the night before closing, they had 32 credit checks, each one lowering their credit score by a few points. When they went to closing, the lender who had originally approved them refused to fund the loan. Their lower credit score on the day of closing disqualified them for the promised financing. And yes, they can do that! In this case, the buyer’s agent was an excellent realtor, and called another lender that he had worked with. After explaining the situation and doing some bargaining, he was able to find them a loan. The interest rate was several points higher and the terms weren’t as favorable, but they were able to close on the home later that day. They also ended up paying several hundred dollars more each month because of the increase in interest rate. Ouch! Here’s another one. Be inflexible. “I’m going to hold out for exactly what I want, where I want it, and at the price I have decided to pay.” Unfortunately, that deal doesn’t exist in 99 out of 100 cases. It’s a good way to pass on a house that would have been a great home for you. If you have a buyer’s agent (good decision!) and that agent, who is working for your best interest, tells you that there are no homes with fireplaces and finished basements in the 3 blocks of a specific neighborhood that you chose, then you should believe him! Your agent is working hard to get you exactly what you want, but if your expectations are unrealistic, he still can’t wave a magic wand and make the impossible happen. “Okay, I heard that prices were low, so let’s offer $100,000 less than the asking price. I’m sure the sellers are so desperate after this house has been on the market for three days that they’ll jump at the chance to sell to great people like us!” Not going to happen. Ever. In any market. Do not insult the sellers! Listen to the agent that you so wisely hired for absolutely no dollars. (Because the buyer’s agent commission is paid by the seller as specified in the listing agreement, which is written in stone.) Your agent also has a fiduciary duty to you, which means that he is obligated to get you the best possible deal. Yes, he has to obey the law, he can’t ignore fair housing laws or lie for you, but that is also in your best interest. If your agent says that you need to look in a different neighborhood, it could mean that there are no houses available there, that the prices are too high there, or that the type of house you want just doesn’t exist in that area. Trust him, be a little open minded, and see what he has to suggest. 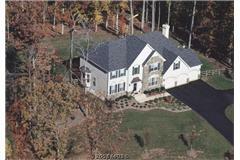 You may be surprised to find that the house of your dreams is just a few miles down the road. Buyers usually start out looking for their perfect dream house. It’s hard to accept that the perfect house doesn’t exist. Even if you have lots of money and can afford to build a house according to your own plan, there will still be things that don’t turn out the way you want. That big oak tree may have to come down, the pond may need a new dam, you may find that having the laundry in the kitchen interferes with your lifestyle in a way you hadn’t expected, or that the guest bedroom in the basement is too isolated after all. Even a brand new home will have small defects. If you want to lose a comfortable home where you could be happy, insist on getting exactly what you want. If you want to have that same comfortable home for yourself, be ready to compromise. Let your agent know that you perhaps really need 3 bedrooms and 2 baths, or a house with a basement, but put the fireplace, the fenced backyard, the gourmet kitchen, and the porch swing on the “would be nice but not a dealbreaker” list. Just to sum it up, use a buyer agent to represent your best interest. Pick one you get along with and stick with him or her. Get preapproved, then sit tight. Save the big purchases, even furniture, for after you close on your new home. And be reasonable! There is a lovely home in a great neighborhood waiting for you, but it may not be what you expect. Follow these three simple rules, and you too could live in the house that creates your dreams! Here’s how it should look when you’re done! You might think that cleaning a horse’s stall is a no brainer. Scoop up the old stuff, dump it, and put in some fresh bedding. That basically covers it, but there are ways to make it easier, more efficient, and better for your horse as well. First, let’s take a look at the basic layout of your stall. Do you have mats covering the floor? Most people do. If you have a dirt floor, mats are optional, but if your floor is cement, then mats become very important to protect the horse’s feet and legs. Let’s start with the dirt floor stall. If it isn’t even, you’ll need to add some stone dust to fill any holes in the floor. Be sure to pat it down well before putting a mat over it, or youll just have to do it again. Lay your mats side by side with no overlaps. Be sure to place the mats so they all go in the same direction. Mats laid at angles or in a zig zag pattern, or mats that overlap at the edges will make it hard to clean a stall. Once you have the mats down, it’s time to choose your bedding. There are many different types, and several factors to consider when choosing which one to use. Cost is usually a major decision maker. There are absorbent synthetic beddings that are resiliant and comfortable under the horse’s feet, but most of them are fairly pricey. If you can afford one of these, either the pelleted type or a recycled paper type, you will probably find yourself with a beautiful stall, but you will be spending a lot of money on bedding. The most popular type of bedding is kiln dried hardwood. This comes in several grades, from large wood chips which are not very absorbent to finely ground sawdust. The wood chips are less absorbent, but cheaper. When used in a stall, it usually takes several days for it to be ground by the horse’s feet to a comfortable texture. New wood chips are difficult to clean because they are larger and not absorbent. They do not easily fall through the tines of your pitchfork, making it more difficult to sift the clean bedding from the dirty. On the other end of the spectrum is the finely textured sawdust. This is usually dust free, and makes a nice cushion for your horse. In order to be effective, you will have to use a lot of bedding in each stall. Sawdust must be fairly deep in order to be effective. It is very absorbent, so wet spots tend to stay put and not spread around the stall. Manure is easily sifted, but you will need a special fine tined fork to effectively pick up the smaller pieces. The wet spots are a bit harder to eliminate as the sawdust tends to fall through the tines of the pitchfork. This can be both frustrating and time consuming, and you will end up with a stall that still has tiny pieces of wet or soiled bedding in it. The best balance of effectiveness and economy that I have found is the mid-range wood shavings. These shavings are absorbent and fairly inexpensive, and work well to absorb and cushion. They are easy to work with and require no special equipment. The next question is how muuch to use. If you can afford to keep several inches of bedding in a stall and replace it all every day, you are probably not cleaning your stalls yourself. At that level, you probably have hired someone to clean for you and don’t need this article in the first place. If, however, you are concerned with cost, you will be relieved to know that it is not necessary to use several bags in each stall every day. In fact, putting in too much bedding or overbedding, can make it more difficult to clean. If the bedding is too heavy for your pitchfork, you will not be able to dig all the way down to the floor to get up the bottom level of soiled bedding. Using too little bedding will not harm your horse. Horses sleep on the ground with no padding all the time. They do not need layers of padding unless there is a health problem or medical condition that requires special handling. If your horse has a problem with his feet or legs, you may want to consider a soft, cushiony layer of bedding, otherwise the primary reason for using it is to absorb urine and make it easier to keep the stall floor dry. A fine layer of bedding is better than none at all, especially if you have a dirt floor with no mats. It will absorb and can be easily raked up and disposed of. The best is a moderate amount, enough to feel soft under your feet, but not so much that it fills your shoes if you walk into the stall. This usually means starting with one or two bags of bedding, then sifting it and adding a little at a time as needed. When cleaning, try to work in one direction, the same direction that the mats are laid. I find that a basket type pitchfork is most efficient, but some prefer a standard style flat fork. The basket forks contain a lot more bedding and lift a lot more manure for quicker removal. I find that the basket type fork cuts my stall cleaning time by about a third. When you pick up a fork full of soiled bedding or manure, give it a little bounce so that any clean bedding you might have picked up will fall through the tines and can remain in the stall. There is no need to take out every bit of bedding every day. Only the wet or soiled bedding needs to be removed. 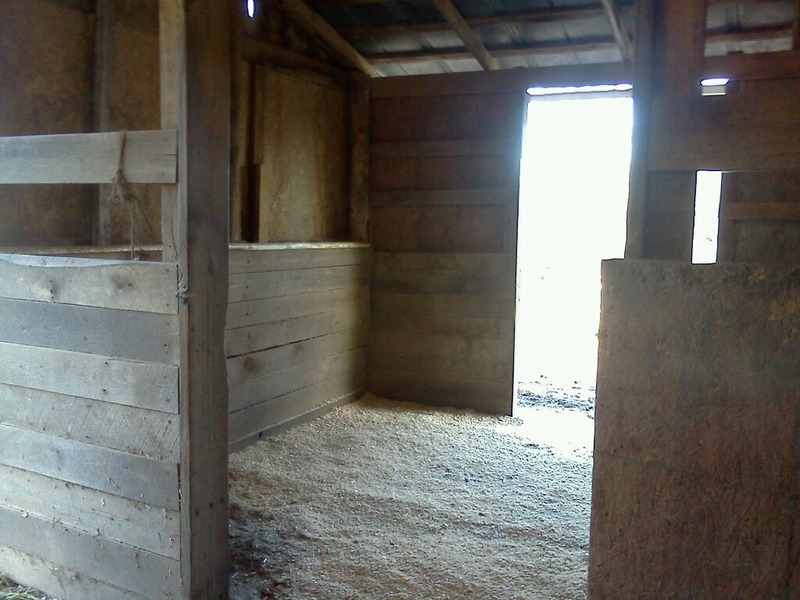 Once you have cleaned out the stall, it is time to add more bedding. There may be days when none is needed, while other days the horse may have kicked around the entire contents of his stall. Using the pitchfork, spread fresh bedding as needed to maintain the moderate amount of bedding you had to start with. One other type of bedding deserves mention, and that is straw. This does need to be completely removed each day and replaced with plenty of fresh straw. A flat pitchfork works best for this as it needs to be impaled on the pitchfork rather than sifted. This method is considered passe by most modern horse owners, but it is still available and not very expensive in most areas. One more word of caution, and that is if you have a heavy load in your pitchfork, remember to lift with your legs and not your back! Beware, this could lead to more horses! be vulnerable to the horse owner’s most potent virus…Empty Stall Syndrome! This is a disease that begins to grow when the horse owner realizes that they could actually have more horses on their property. Walking past empty stalls in a barn leads to thoughts of more equine heads bobbing out as you pass, welcoming nickers, and a view of horses playing together in your field. The disease is insidious, as it takes the form of a desire to do a good thing, and becomes a very expensive addiction. There are several ways to deal with this problem without exploding your wallet. The first, (and most unrealistic) is simply to ignore it. “I already have a great horse, I should just concentrate on her!” Most of the time this does not work, as the horse owner still has to walk past one or more empty stalls every day. Another way to deal with the problem is to turn the empty stalls into something else. Extend the walls to the ceiling, add an electrical outlet and some scrap carpeting, put in a refrigerator, and some shelves with horse books or an old tv with a cd player and some horse related cds. You now have a lounge where you can keep cold drinks, refrigerate medications and relax after a long trail ride. A spectacular tack room could take another stall, and a feed and equipment room still another. These may help you feel justified in keeping it to one horse. If, however, the upgrades to your barn aren’t enough, there are several other ways to get horses into your empty stalls without spending a fortune. The first is to simply lease out your stalls to others. You can do this without making more work for yourself by making it clear that you are simply renting the space, and it is a “self-care” barn. That means that everyone is responsible for taking care of their own horse. Your boarders will come each day and feed their horses, muck the stalls, and take care of filling and cleaning water buckets, etc. You are responsible for keeping the barn in good condition and calling the owner if you notice any injury to their horse. In some cases, you might agree to let the horses in and out to the field. If an owner is going to be away, you can charge extra to take care of the horse while they are gone. This option gives you the ability to have other horses in your barn without having to add to your work load. Extra services, such as feeding, worming, holding the horse for the vet or farrier, or cleaning the stalls can be added for a higher fee. Be sure to include a contingency plan for severe weather emergencies such as hurricanes or deep snow. Boarding horses may also qualify you as an agricultural business, which could may have favorable tax consequences. (You will need to check your local laws to see how this would apply to you.) It also gives you people to ride and talk horse with. You can also board horses as a full care facility. That means that you are responsible for the regular daily care of the horse, although the owner would still be responsible for expenses such as vet, farrier, or dentist. The extra work to feed and fill water buckets is negligible, but you need to consider the extra time and physical work involved in mucking out stalls. Once you have found your rhythm for mucking stalls, you can usually do about 5-6 stalls in an hour, depending on how messy the horses are. When deciding how much to charge, be sure to count the cost of feed, hay, and bedding in addition to the extra work for you. Another option is to foster horses that have been removed from abusive or neglectful situations. This will have a cost to you, as you will usually be required to provide feed and sometimes medical care for the horses, but you will be doing a wonderful thing and you may be able to deduct some of the expense. (Talk to your tax professional) You will need to contact your local aspca or equine rescue for details. Most of all, resist the urge to go out and buy more horses unless you have thoroughly thought the idea through and counted the cost. Remember, a horse is a long-term committment, not a passing fancy. Empty Stall Syndrome can be your downfall or the key to a wonderful new career! So glad they’re getting the horses out now rather than waiting until it’s too late. If you can sponsor or take in one of these displaced animals, contact your local animal shelter for information. Photo courtesy of facebook, Equine News Today. Recently, I have had a lot of calls from people who want to rent rather than buy. My first question is: “Why?” There really are several good reasons, but many renters don’t fit into any of these categories. First, if you are only going to be living in an area for a year or two, it makes sense to rent. This is especially true if the time it takes to sell a house in that area is especially long, or if values there are currently heading down. Those in this category would likely be military or those on a special assignment for their job. It could also include those who are temproarily relocating to care for an elderly relative but plan to move back after the person is settled or passes. Second, if you are new to an area and don’t know which neighborhood you want to settle in. If you arrive and just buy the first house that you see, you may end up in an area that is less than desireable for your family. This might mean something as simple as too long a walk to the bus, or it could progress to more serious issues such as the local drug dealer living next door. In this case, you are better off to rent for a year and then make a decision on where you want to live permanently. Third, if you have bad credit. Naturally, this will keep you from qualifying for a loan which makes it next to impossible to buy a house. Rent the smallest, least expensive place you can stand for a year or two while you work on getting your finances in order. This is best done with the advice of a mortgage lender or broker, or a financial planner. Follow their advice, get things straightened out and check again in a year to see if you can qualify for a loan. Fourth, if you are strapped for cash. There are multiple reasons for this, ranging from bad financial decisions to circumstances that go way beyond your control. If you don’t have enough to cover the down payment and settlement costs, then put the homebuying dream on hold for a few years while you save. One of the saddest things I see in real estate is someone living in a beautiful home who can’t afford furniture. Be patient, wait until the time is right and then buy something you can afford. Fifth, if you are waiting for a home to sell in some other part of the country. Many times people will be transferred and move before they can secure the equity in their home through a sale. This can put them in a bind if they can’t afford to make two mortgage payments while they wait. Rent until the old house sells, then you can use the money to buy without putting yourself in a bind. If you are not in any of these categories, perhaps you should consider purchasing a home rather than renting. There are home types for every need, from those who want to have no yard work and just a small place (condo or senior living development), to those who want a place to entertain or a big yard for the family. You may have to make some compromises, but the money you save in taxes and other fees can more than make up for the cost of the house. This gets published every year but I always forget the target numbers. Around here the temp can seem safe but the HSI can easily over 150 or even 180. What would be considered moderate exercise under temperate weather conditions can have the same effect as intense activity when the heat and humidity rise. When is it too hot to trot? A good rule of thumb when assessing how the heat will affect your workout is to measure the Heat Stress Index (HSI). If the sum of the temperature in degrees Fahrenheit plus the percent of humidity totals less than 120, all systems are “go.” If the sum is greater than 150, particularly if humidity contributes to more than half of this number, your horse’s natural cooling mechanisms will be compromised. You should consider lowering the intensity of your workout, shortening the length of time, or riding later in the day. If the HSI is greater than 180, a horse cannot regulate his core body temperature naturally, so he should not be forced to work. For instance, if it is 100 degrees with 80 percent humidity, leave your horse in a shaded paddock with plenty of cool, clean drinking water and go have a cold drink yourself.